Woodland Sedge - Carex blanda is a perennial ascending plant with leafy culms. The leaf braids are about 8" long and the culms about 1/2 to 2" long. The sedge's bright green stems can grow up to two feet long. The Woodland Sedge performs in any moist soil. But even if there is a dry spell, it will do fine. Partial to full sunlight is excellent for growth. The Woodland Sedge is a fast-grower that attracts butterflies and bees. It crawls across the ground, absents any other plants. Additionally, this multi-function plant is useful for ground cover and to halt erosion. Woodland Sedge is light Green. 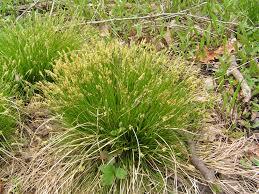 Woodland sedge is a small wetland perennial grass that grows up to two feet per year. 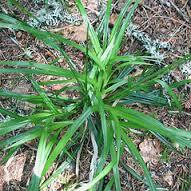 Woodland sedge is very adaptable to many types of soils but grows best where the ground stays moist. Woodland sedge can be found growing amongst most of the deciduous woodland areas of the United States. Woodland sedge is a significant food source for many types of birds and animals, ranging from finches, stink bugs, moles, and even turkey. 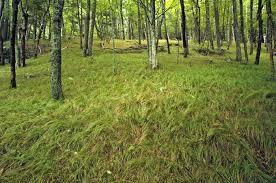 Woodland Sedge reproduces both by vegetative reproduction and by spreading seed. This woodland grass is a significant food source for all kinds of birds, insects, and other animals. Birds use them as food sources and as material to make nests from to protect their children. The Larva of some butterflies feeds precisely on this kind of kind of grass. Wild Turkey and other sizeable upland game birds feed upon this grass and sometimes make nests in it. Fox and grey Squirrels feed on the seeds and moles feed upon the grasses roots. Sometimes of Stinkbugs also graze specifically on the grass. Woodland Sedge is very large. It grows best in moist soil and can tolerate hot and humid conditions. It does the best if it is planted in early spring to mid-summer. This sedge is common in the United States because it is easily adaptable and requires very little upkeep and maintenance. This common sedge can be found growing in a variety of soils from rich, loamy, clay, or even rocky soils. Woodland sedge can reproduce by rhizomes forming large colonies of these plants. This can cause the plants to appear to be weedy.